Now that you have had a property survey done, consider preserving the results of that work. Now you are asking yourself why you would want or need to do that, so let me explain a few reasons to do so. Replacement cost - If you lose the paper survey or lose track of where the monuments are, you will eventually need another survey to be done, costing more money and time. Resale value – By having a recorded survey and monuments that can be easily and clearly pointed to, potential buyers are reassured and property values generally increase. Neighbors – Good fences (based on surveys and monuments) make good neighbors. Public Notice – It puts the public and other surveyors on notice that boundary work was done and should be considered. Although surveyors try to keep the costs of land surveyors down, let’s face it, a good survey is not cheap. So, now that you have spent good money on a survey, how do you preserve that information so that it is not lost over time and so that other land surveyors and property owners know that you paid for that awesome survey? The answer to that question comes in two parts; the monuments and the paperwork. There are many types of monuments. Some of the common ones include pipes, rebar, stones, cairns, nails, cotton spindles, railroad spikes, buggy axles, drill holes, chiseled crosses and cut crosses in stone or concrete, gun barrels, buggy axes and waterways like streams or creeks. While monuments like waterways are easy to find, many can be difficult to find as time goes by. Some of the monuments I have to look for have not been visited by a surveyor for over two centuries, so it is very important to take steps so that you and others can find your monuments in the future. The methods of preservation can change depending the situation, but you always want to keep in mind that surveyors search for monuments with a specialized magnetic locator, which “rings” when pointing at iron, steel and other magnetized objects. Fencing – If you are putting up a new fence or moving an old one, please avoid disturbing the monument by putting the corner fence post, or its concrete base, too close to the monument. Do not disturb the monument and leave a foot or two for the next surveyor to be able to use a magnetic locator to find the monument. It is a common practice to bend wire fences a little in the spans nearest corners so that the corner monument is not disturbed. T-posts – Even if you are not putting up a fence at that location, installing a t-post about a foot or two away from the monument is a great way to mark the location so it can easily be seen. You can additionally paint it a bright color or add a sign to make it more visible. Cairns – Commonly known as rock piles, can be mounded around pipes or rebars to make a more visible location that will endure the weather. Flagging – That bright plastic survey flagging can be purchased in hardware stores. It typically last a few years before needing to be replaced. Paint – Paint the monuments or nearby trees, rocks and fence posts. Blazing – In rural areas, blazing trees (cutting a chunk out of them), has been used for centuries to mark and reference corners. Reference Marks or Monuments – These are usually set by land surveys to make it easier to find or replace section corners and quarter corner. These can include blazes, bottle caps, or additional monuments just like the property corners. Hollow Bricks – Hollow bricks can be placed around pipes and rebars in lawns by digging out a little dirt first. This allows for a visual marker without it getting hit by a lawnmower. Pavers – If your monument is a little below grade, dig out a little soil and place a paver brick over the top of it. Again, it provides a nice visual mark that will not be hit by a lawnmower but allows a surveyor to easily lift it to see the monument itself. Wall Sketches – A few clients have even shown me where they drew on their garage walls showing measurements they took from mailboxes, water meters, trees and other features to their monuments. This is especially useful when the monument is in a gravel driveway. Part of being a land surveyor is being a detective. If it will help you to find the monument in the future, it will probably help the next surveyor find it too. If your survey results in a paper report, such as for a boundary retracement survey, you will want to keep a copy of it safe with your other important documents at home. This allows you to share the information with neighbors, land surveyors or others whenever the need arises. This will allow you to quickly and easily show others proof that you had a survey done and what the results of that survey are. The best long-term method of preserving survey information, and also of putting the public on notice of its results, is to get it recorded at your county Recorder’s office. The Recorder’s office is where surveyors, title companies, lawyers and the general public look for information on real property ownership and boundary information. They are tasked with preserving this type of information in perpetuity, so even your great-great-grandchildren can look up your property in the future. Recording a document usually requires a little more cost and time, but it is well worth it. Puts the public on notice. If you lose your copies at home, you can get new copies from the Recorder. It helps to keep all surveyors honest and working to higher standards because they know their work will be reviewed by others. We are all human and despite our best efforts, we all occasionally make mistakes. If an error is made, it provides a mechanism for the error to be found and corrected over time, by filing a revised survey or by filing an affidavit of correction. Someone else may come forward with information about the survey that was not known about previously, potentially leading to a better survey and more correct boundary location. The requirements for recording surveys change from state to state and county to county. In some places I have worked, you could literally record a grocery shopping list as long as it met the formatting requirements and you paid the fee, however, in Missouri, state law has somewhat restricted what can be recorded. You can ask a surveyor, the planning department or the Recorder about your local requirements. You must pay the recording fee. While the fees are uniform in Missouri and set by state law, the fee changes depending on the size of the sheet(s), the type of information (i.e. survey, deed, death certificate, etc.). It is currently set at $24 for an 18”x24” survey and $29 for a 24”x36” survey. Government approvals may be required. Missouri counties which have zoning or subdivision regulations often require approval from a city or county official. This is to prevent illegal or improper subdivision of land. The survey must meet or exceed local and state minimum standards. 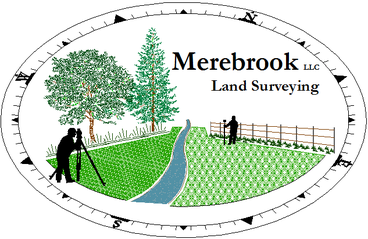 The surveyor is required to state on the face of the surveyor that it does, but someone at the city or county may also check it before it is allowed to be recorded. If they do, there will also be some time needed for them to review it. While the time delay is a minor annoyance, in my opinion, this is an excellent final check on the work before it is recorded.